William Luson Thomas, the son of William Thomas, a shipbroker, and his wife, Alicia Hayes, was born in London on 4th December 1830. After leaving school in Fulham he joined his brother George Housman Thomas (1824–1868) in Paris, where he had set up an engraving business. In 1846 he travelled to the United States with his brother to work on illustrated newspapers, including The Republic and the Picture Gallery. William also spent time in Rome, where he studied art at the Académie de France. In 1851 Thomas moved back to England where he worked under William James Linton. Over the next few years he established himself as one of the country's leading engraver. On 12th July 1855 he married Annie Carmichael, daughter of the artist John Wilson Carmichael. He shared and office with the wood-engraver Horace Harral at 4 Palgrave Place, the Strand. 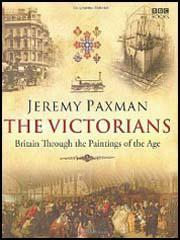 During this period he worked for several book publishers as well as journals such as the London Illustrated News. It is estimated that by 1868 his engraving business brought him an annual income of some £800. His brother, George Housman Thomas, died in 1868. The following year he published a memoriam volume of his work for the benefit of his widow and her family, entitled, One Hundred of the Best Drawings. The art historian, Mark Bills, has pointed out: "It included many of George's book and small magazine illustrations, but none of his work for the Illustrated London News. The periodical had refused to lend the woodblocks of George's drawings for publication, a decision which both angered William and strengthened his resolution to set up an illustrated newspaper in opposition to the weekly, which had hitherto held off any rivals." In December, 1869, William Luson Thomas founded the weekly newspaper, The Graphic. He later recalled: "The originality of the scheme consisted in establishing a weekly illustrated journal open to all artists, whatever their method, instead of confining my staff to draughtsmen on wood as had been hitherto the general custom… it was a bold idea to attempt a new journal at the price of sixpence a copy in the face of the most successful and firmly established paper in the world, costing then only fivepence." Thomas recruited a team of gifted artists including Luke Fildes, Hubert von Herkomer, Frederick Walker, Frank Holl, Arthur Boyd Houghton, John Millais, Frederic Leighton, Lawrence Alma-Tadema and William Small. When it was first started, the journal was produced in a rented house. However, by 1882 the company owned three buildings, twenty printing machines and employed over 1,000 people. The Christmas edition, printed in colour and costing a shilling, was particularly popular, selling over 500,000 copies in Britain and the USA. Thomas was fully committed to social reform and he hoped that these visual images would have a political impact on the reading public. 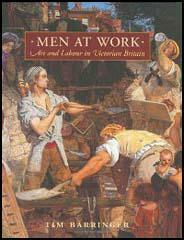 His biographer, Mark Bills, has argued: "The format of the paper offered artists an unprecedented opportunity to explore social subjects, and its images of poverty made it a catalyst for the development of social realism in British art. Many of the wood-engravings which it featured were developed into major paintings." This included Luke Fildes's Houseless and Hungry, which appeared in the first edition of The Graphic. Hubert von Herkomer wrote: "Mr. Thomas opened its pages to every phase of the story of our life; he led the rising artist into drawing subjects that might never have otherwise arrested his attention; he only asked that they should be subjects of universal interest and of artistic value. I owe to Mr. Thomas everything in my early art career. Whether it was to do a twopenny lodging-house for women in St. Giles', a scene in Petticoat Lane, Sunday morning, the flogging of a criminal in Newgate Prison, an entertainment given to Italian organ grinders, it mattered little. It was a lesson in life, and a lesson in art. I am only one of many who received these lessons at the hands of Mr. W. L. Thomas." In 1890 Thomas and his company, H. R. Baines and Co, began publishing the first daily illustrated newspaper, the Daily Graphic. England's leading newspaper, The Times, argued that "William Luson Thomas did more … than improve illustrated journalism, he influenced English art, and that in a wholesome way." Another newspaper described him as "Fair-bearded till time and hard work silvered his hair… Mr. Thomas was a true gentleman - one, indeed, of Nature's noblemen." William Luson Thomas died on 16th October, 1900, at Weir Cottage, Chertsey. After his death, his son, Carmichael Thomas, ran the publishing company. He also founded The Bystander and Empire Illustrated magazines. He died in 1929 and The Graphic came to an end in 1932. Only ten years ago, if an event suitable for pictorial illustration occurred on that Saturday, it was considered sharp work to sketch, draw on wood, engrave, electrotype, and print the subject to be illustrated for the issue of the following Saturday. By improved machinery it has become possible to illustrate an event happening on the Tuesday of the same week, and now we propose, by the aid of the new electro-dynamo machines, to save many hours in electrotyping, and so be able to give our latest news pictures up to Wednesday. (2) On the death of William Luson Thomas, Hubert von Herkomer wrote an account of the importance of The Graphic to social realist artists.